Sand Village Farm: Happy New Year! One of my readers asked me how come I haven't posted anything new since picking wild mushrooms. I realized that December has passed, and I didn't write anything for the entire month. Between being sick, rain, and pulling out dead plants, the month just flew by. Today is the first of January, 2012! It's going to take a few weeks to get used to writing 2012. 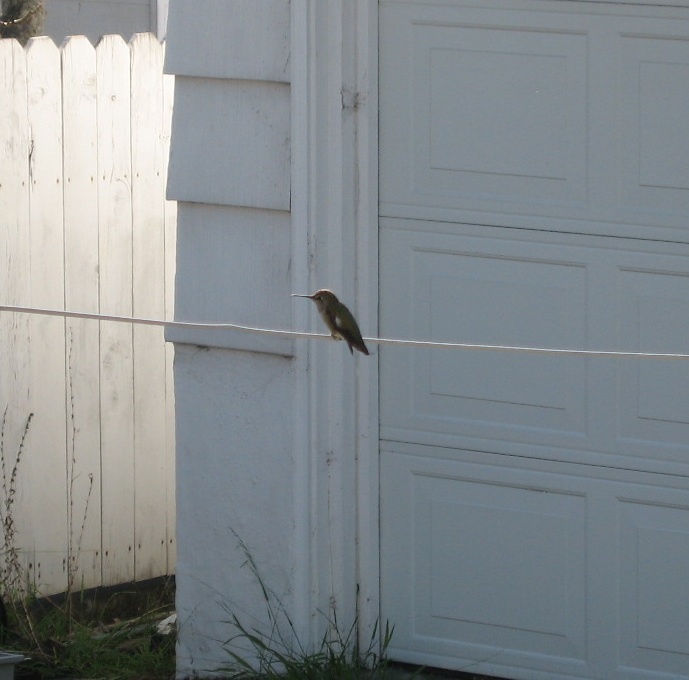 When I stepped out this morning, I saw a hummingbird resting on the clothesline. I use the clothesline for drying bedding or towels when the sun's out. I don't see the point of turning on the dryer if there's time to hang it out to dry naturally. 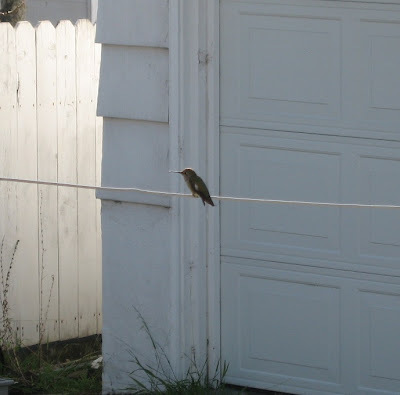 Additionally, I often see hummingbirds taking an advantage of the clothesline to rest. I like to be around wildlife and living things. I was able to take a few shots today before the bird flew away. 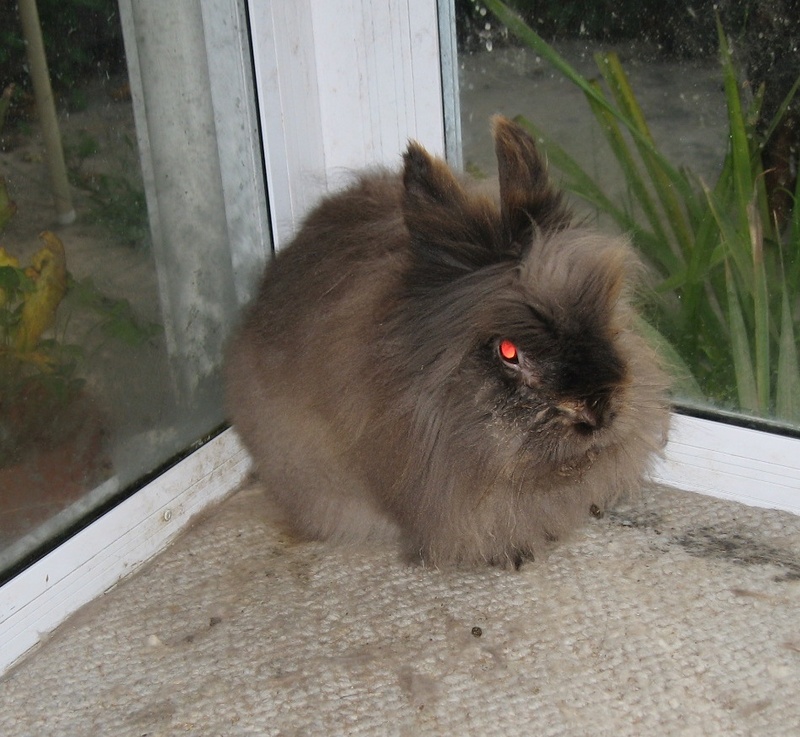 My pet rabbit, Dusty, is still going strong. I call him bunny all the time, but he's about 7 years old now. Rabbit's lifespan is about 5-10 years. Dusty used to be gray, and now he's more brown although he happens to look more grayish in the picture above. To celebrate New Year's Day, I decided to go down to Point Isabel for a walk. Point Isabel is a dog heaven. It is one of the largest public off-leash dog parks in the nation with over 500,000 dog visits per year according to its website. I love going there because it's less than 2 miles away from Sand Village, and I enjoy the company of all the dogs. 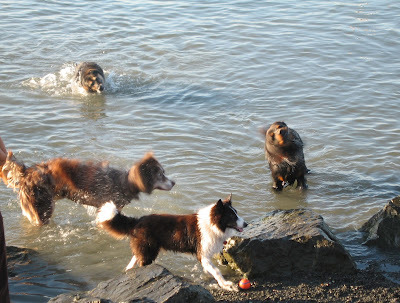 It always makes me happy to see the dogs running, swimming, and playing together. I am also fascinated when I see some rare breeds in the park, such as Leonberger and Caucasian Shepherd.